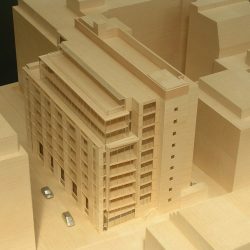 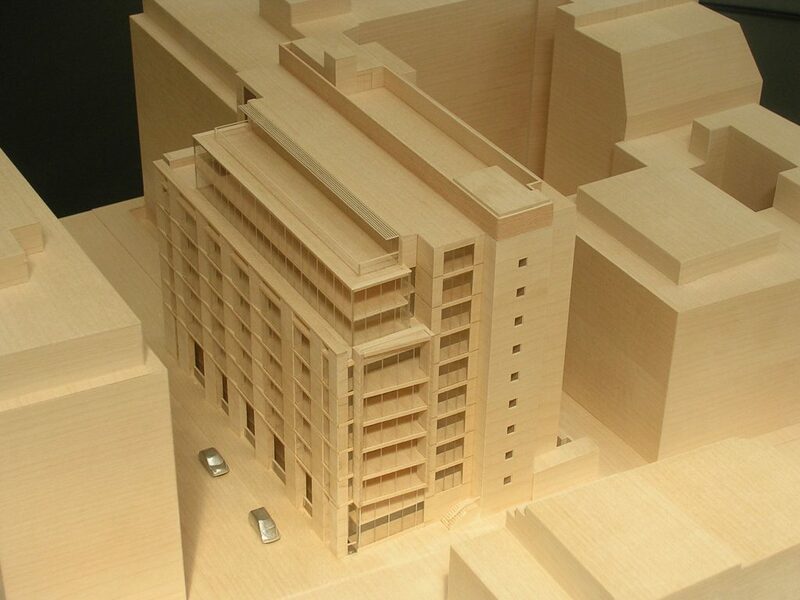 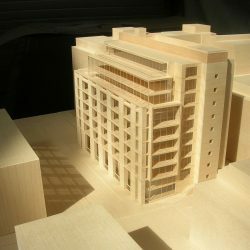 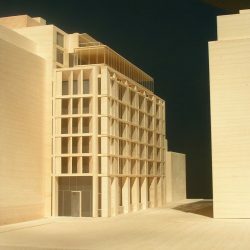 Inver Models was commissioned to produce an architectural model of an office development for a central London based developer. 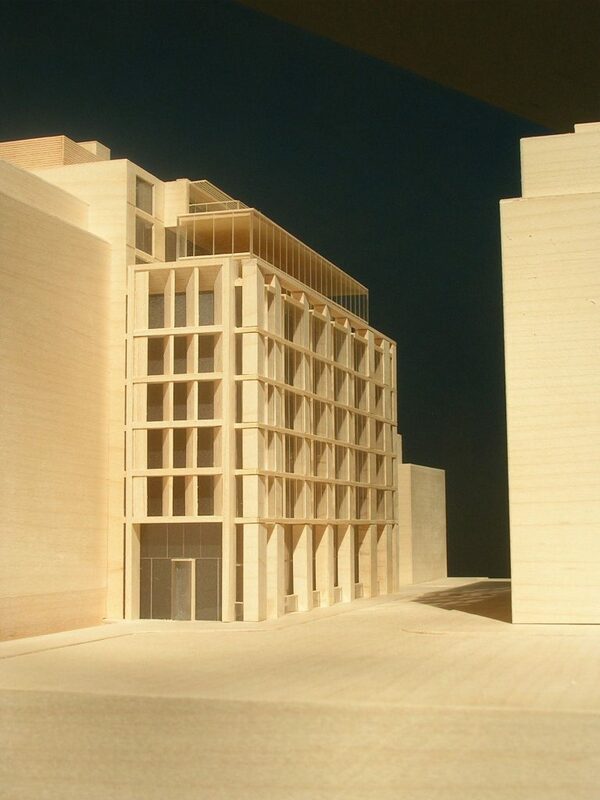 The core of the model (modelled at 1:200 scale) is made from acrylic for its strength and stability, whilst maple timer with clear glazing gives a sense of space. 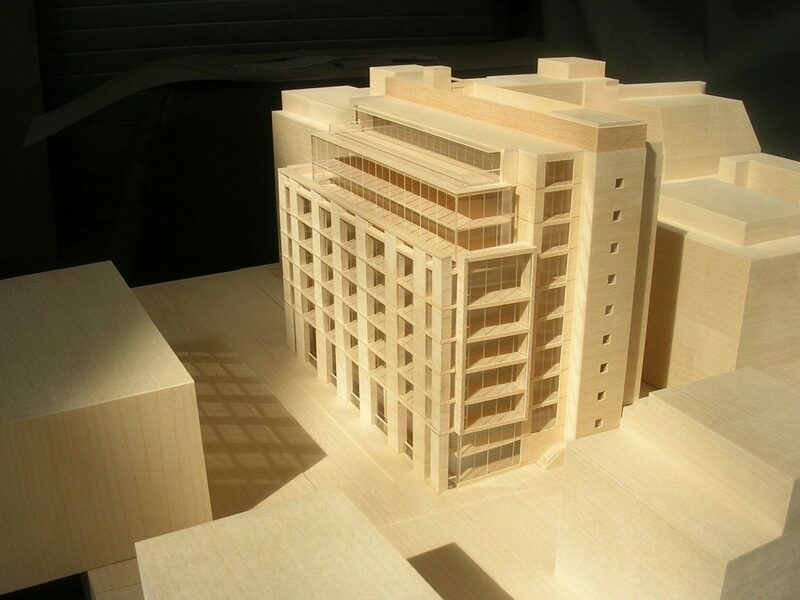 CAD-machine panel joint lines and louvre detailing was also used for its precision.